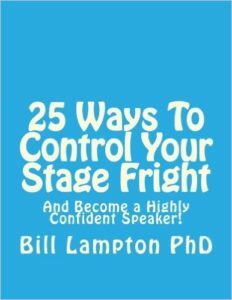 Do you tremble at the mere thought of giving a speech? Have you turned down offers for new professional opportunities, because you assumed that the new positions would require you to give more speeches? Do you wish somebody could help you become confident as a speaker, so you could share your ideas dynamically and persuasively? 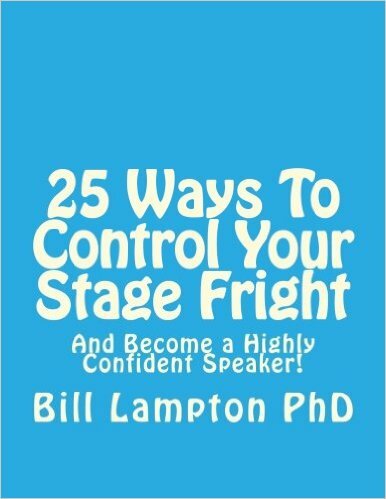 Using this link, order NOW–and become the speaker everybody wants to hear! Read this book, apply the recommendations, and you will benefit as hundreds of my Speech Coaching clients have benefited.